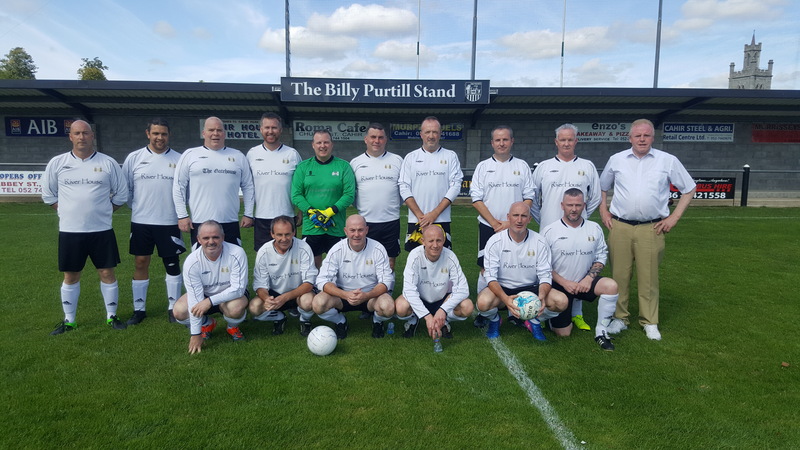 Last weekend saw almost 100 members of Springfield FC from Essex England desend on Cahir Park AFC to play schoolboy games, a junior game and a veterans match for the coveted Anthony Cunningham memorial Cup. The weekend kicked off Friday night with an u12 and u13 match against Cahir Park. The visitors came out on top in two excellent games of football. On Saturday the park was basked in glorious sunshine and Paddy Purtill and all his crew had the barbecue hopping all day. 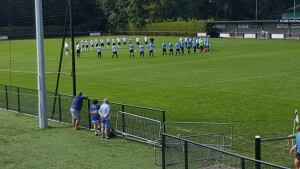 In front of a large crowd the schoolboys kicked off proceedings at 11am and this time Cahir Park got the better in both games. Next it was the turn of the junior team and everything was running like clockwork under the watchful eye of Hughie and Joe. In an entertaining game with plenty of goals the Park lads were victorious. 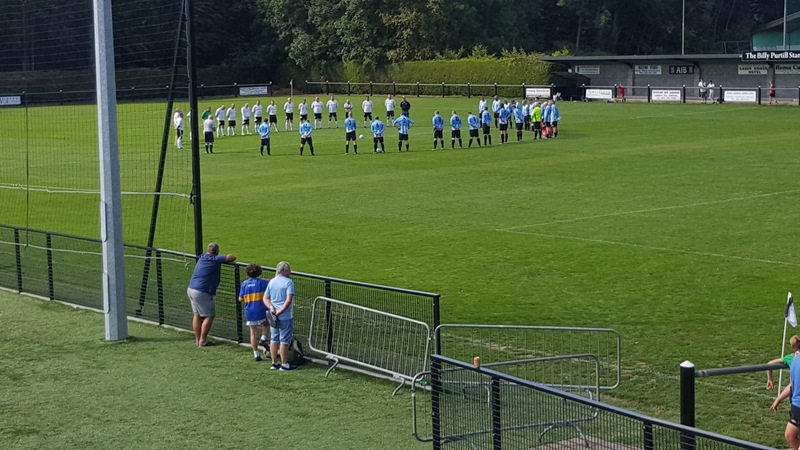 Last but by no means least the veterans game kicked off after a minutes silence in memory of deceased club members. 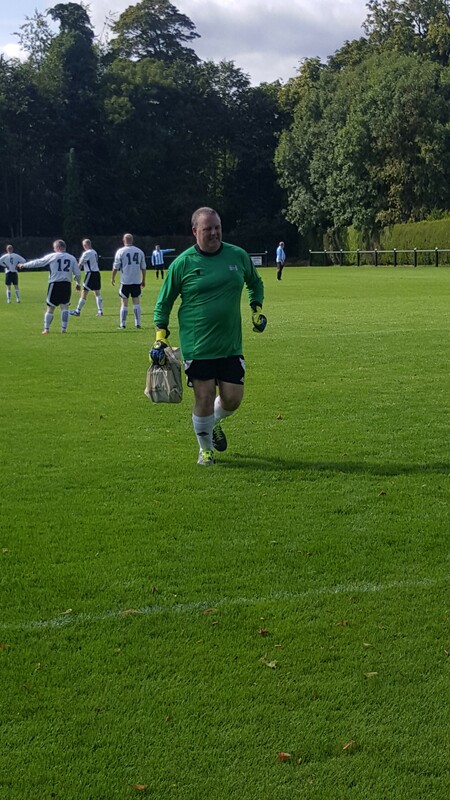 Franny Harper back in the club he enjoyed some great days led the Springfield team against his old team mates which included his uncle Gazza. 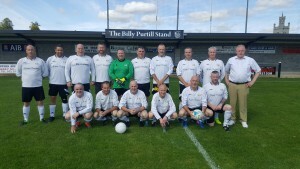 It was fantastic to see so many old club players and friends meet up for the first time in many years and the football played was evident of past greatness. The Park were victorious in reclaiming the Anthony Cunningham memorial Cup and team captain Bob McIneiry was presented with the cup by Anthonys daughter Nikki in front of his grandchildren and many friends. All the kids got medals to remember there trip to Cahir and a presentation of friendship was presented to Springfield on behalf of Cahir Park by Paul Conway. Drinks flowed, stories were told and past friendships reunited during a wonderful weekend. To the organisers of this weekend we take our hat off to you, Franny and Liam Harper, Joe Halley, Hughie O Donoghue and the hard working committee there was no stone left unturned. Attention now turns to the return leg in Springfield next year and preparations are underway. Thank you to everyone involved for a wonderful weekend.